Attention: Ghouls and Goblins! 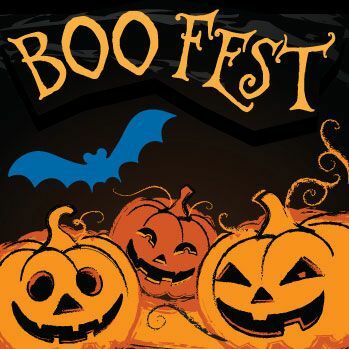 Annual BooFest, Kenosha Public Museum, Free, Family, Halloween Fun! KENOSHA, Wis. - Aug. 19, 2015 - PRLog -- Once again, The Kenosha Public Museums are excited to be hosting their FREE, Annual, Halloween Event, Boofest. This year’s Gala for Ghouls and Gobblins, will be held on Saturday October 24th from 1 to 4 pm, with spooktacular activities scheduled for each of the Museums. Sponsored by the Friends of the Museums, this community favorite is FREE and open to the Public, offering a safe, fun, family friendly, environment, or alternative to traditional trick or treating. So, grab your costumes kids, and get ready for a wicked good time at the Kenosha Public Museum’s BooFest! · 30-minute, guided lantern/flashlight tour of exhibit. Tours start at 1:30pm, 2:30pm and 3:30pm and are open to children in costume and their parents. All activities are sponsored by the Friends of the Museums and are free and open to the public. *Note: Friday, October 30th, 2015 the Dinosaur Discovery Museum offers Dinos in the Dark, from 6-8pm. Thrill seekers ages 4 years and older, grab your flashlights and watch the dinosaur shadows play during a Special Spooky Tour. The cost is $1/person for ages 4 and older. Advance registration is encouraged. Visit: http://www.kenosha.org/wp-dinosaur/ for more information. The Kenosha Public Museums, including the Civil War, and Dinosaur Discovery Museums, have a long standing reputation for excellence in promoting Natural Sciences, preservation practices, education, diverse cultures, art, music, and community involvement. Not only one of Wisconsin’s Favorite Tourist Attractions, the Museums serve as a hub for local activity, events, fairs and festivals, reflecting the charm and hospitality of the Midwest, Wisconsin, and the Kenosha area. Log on to:http://www.kenosha.org/wp-dinosaur/ , for more detailed information on parking, exhibits, upcoming events, Holiday attractions, educational opportunities, tours, admission, hours of operation, and so much more!